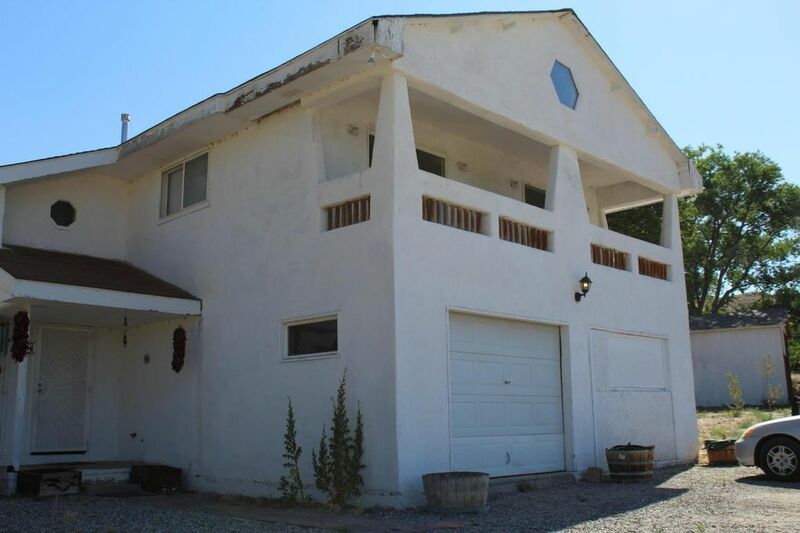 The home is 2387 sq ft., 3 bedrooms, 2 full and one-half baths, sits on 1.26 acres, with irrigation rights, private well, and a private location. NO CARPET, mostly beautiful tile throughout, with a small area of wood on Kitchen and Breakfast nook. This home has the WOW factor, as you enter the home you are greeted with an open concept, high ceilings, beams and vigas, and the walls have a special finish. The Bedrooms are upstairs and all have exits to balconies or decks. Recently added is a combo unit - heating and refrigerated air and a tank-less water heater. The home is well taken care off. Come see and make it yours.